Hydroblast was contacted when a HIAB vehicle, which was transporting building supplies, encountered a problem. One of the truck’s hydraulic pipes had burst and caused an oil leak that had spread over the road. Not only are leaks a hazard for all road users, but leaks like this can be a huge environmental problem, especially when they leak into nearby drains. In this instance, as with all oil spills, there was a need for to address the problem as quickly and efficiently as possible. Oil spills that occur in public areas are the responsibility of the person/company that caused the spill. 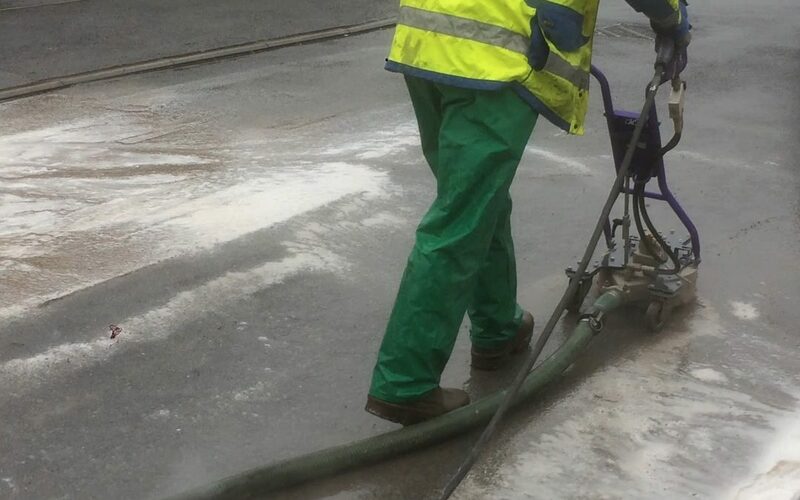 As Hydroblast has the necessary skills and machinery to deal with spills, both public and private, they were contacted by the client to clean the road. Hydroblast is fully compliant with the laws regarding clean up methods and adhere to all guidelines. All of our staff are trained to the highest standard and the company holds ISO 9001, and ISO 14001 – Environmental care. We are happy to help with any spillages that occur near our base, charging only a call out fee and an hourly rate. Hydroblast is based at Gatenby, North Yorkshire, just off the A1, which is ideal for easy access to major roads. This means that the company can respond to these situations very quickly. In this instance, the spill site was not far from our Headquarters, so our team was on the scene within 4 hours. After assessing the situation, it was identified that the quickest and most efficient way to deal with the problem was to use 500 bar, 98-degree bar hot water wash at 30 litres per minute. Connecting the water jet up to our Hot Wash Unit, the water was mixed with eco-friendly foam and detergent. The high pressure resulted in the oil being completely covered and transported to the side of the road, enabling the cleaning of the tarmac underneath. 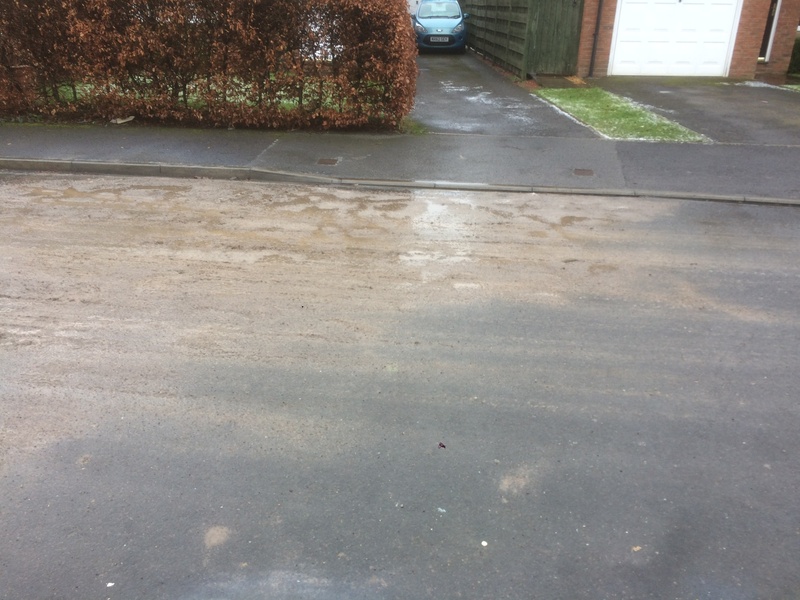 Once this had been completed the waste was vacuumed, resulting in a clean and safe road within just 2 hours of our arrival. The owners of the lorry were absolutely delighted with the speed Hydroblast worked at and the high quality of the outcome. Using traditional methods, the process of cleaning up oil spills on Tarmac can be a much more protracted job, often using sand to stop the flow of oil and then soaking it up with padded materials. Hydroblast has designed methods that are streamlined and safe for the environment, this results in a fast and efficient response for oil spills. At Hydroblast, innovative ways of manipulating water is the tool for all of our services, this innovative technique makes us extremely eco-friendly and more cost effective than our competitors. We specialise in environmentally friendly methods for cleaning hydraulic, diesel and gasoline oil spills, removing oil from water and hard surface oil spills. This means we are perfect for not only roads, but driveways, businesses and most situations in which oil or other contaminants have been spilt. Please contact us or visit our website to find out more.